The 11th HMS Tiger was a battlecruiser of the Royal Navy, built by John Brown and Company, Clydebank, Scotland, and launched in 1913. Tiger was the most heavily armoured battlecruiser of the Royal Navy at the start of the First World War although she was still being finished when the war began. The ship was assigned to the1st Battlecruiser Squadron (1st BCS) for the duration of the war and participated in the Battle of Dogger Bank in early 1915 even though she was still shaking down and did not perform well. She next participated in the Battle of Jutland in 1916 where she was one of the British battlecruisers most often hit by German shells, although she was only lightly damaged. She spent the rest of the war on uneventful patrols in the North Sea, although she did provide distant cover during the Second Battle of Heligoland Bight in 1917. 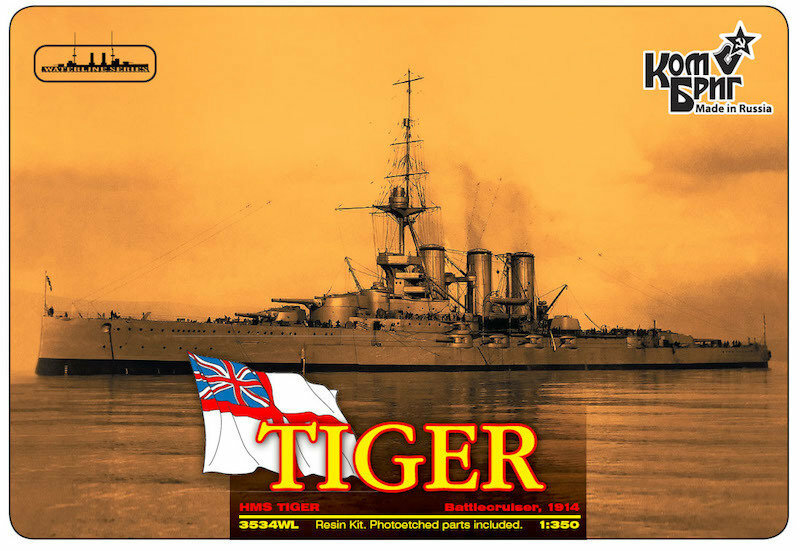 Tiger was the oldest battlecruiser retained by the Royal Navy after the tonnage limits of the Washington Naval Treaty came into effect in 1922. She became a gunnery training ship in 1924 and then joined the Battlecruiser Squadron in 1929 while its flagship, HMS Hood, underwent a lengthy refit. Upon Hood's return to service in 1931, Tiger was decommissioned and sold for scrap in 1932 in accordance with the terms of the London Naval Treaty of 1930.